Let technology help your child become better and healthier! Technological advancements in child healthcare happen every year as doctors and dentists learn better how to help children. Children who were once given invasive procedures or had untreatable conditions are much healthier in today's world because of the things listed below. Each step shows how a child can live a better life because they have been given cutting-edge treatment that was once not available. Gentle dental care has long been a part of what pediatric dentists used to improve the patient experience. Medical professionals have long known that kids need to be given the most gentle care possible, and that has become very popular in the dental world. Kids can go to a sedation dentist, and they can visit a medical facility that is very gentle with them as they go through treatment or therapy. There are many new advancements in imaging that have improved diagnoses for kids. Be well aware, and gather all the possible renal ultrasound information that can help kids get a diagnosis for a number of issues, and with these advanced technologies, children could even have ultrasounds in the womb that are very accurate. These images are taken to help treat chronic illnesses, injuries, and diseases that were once undetectable. There are many cases in which newborns have not contracted HIV from their mothers, and that has been due in large part to what the medical world has done to treat mothers who are pregnant with HIV. These mothers are given special medications that are helpful in their own care while protecting their babies, and these babies are given advanced treatment as soon as they are born. This serves everyone well, and it shows that children can receive the best care even before birth. There are many SIDS deaths that have been stopped by advanced information released by the medical industry. There are many people who are working in medicine who are writing and talking about SIDS, and they are giving parents the information the information they need to protect their children. These children are given better monitoring, and parents are taught better how to care for these children while they are little. Chronic illness that was once prevalent in little children seems to be disappearing. There are many health tips released by doctors every year that speak specifically to chronic illnesses. There are fewer cases of asthma, and there are many chronic illnesses that have been prevented by healthcare guidelines that keep children safe. Someone who is having a child for the first time should read up on what they can do to protect their kids from chronic illnesses. Children who have mental health problems are treated much better than they ever were before, and they will find that these children need a helping hand sometimes when they feel sad or anxious. These kids are given better care in school, and therapists are often brought in early to help these kids with their emotions. This is a good start for many kids who might have lived for decades with an undiagnosed mental disorder, and even doctors are being trained in recognizing these problems so that they can refer when necessary. There are many cases in which diabetes has dropped among population study groups. This could be due to healthy eating habits in parents, and these children will have a much better chance of a healthy life even if they are diabetic. Diabetes treatment no longer requires any sticks for blood drawing, and these children can be treated with a diet plan that is built by nutritionists. 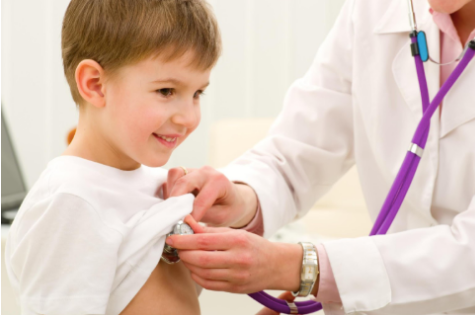 Advancements in the medical field have greatly impacted young kids who once did not get the care that they needed. Their disorders were not understood very well, and they have now treated the instant that a child shows any symptoms. These children can be checked in the womb for issues that might present themselves in the future, and the medical care for kids even extends to gentle dentistry. A child can be heard, understood, and feel safe when receiving medical care now more than ever. We all must be familiar about the importance of health and as of today’s lifestyle the health of most of the children is deteriorating day by day and the only way to keep them healthy is by taking appropriate precautions and also a regular checkup from the doctor and in this era of technology you can contact the doctor directly from your home only with the help oftelehealth development services which will save you a plenty of time so that you never miss on your appointments with the doctors . rfi tracking software helps you recognize the next phase for every single piece, regardless of whether it’s to follow along with up on costs, publish pricing in your consumer or deliver accredited modifications to the commitments. With Procore you’ll have the ability to method and shut adjustments electronically immediately to hold the project on track. Seth listened to my requirements and objectives for my pay a visit to and designed a custom made treatment solution in my opinion best acupuncture arvada. He created an environment where by I noticed realized and observed, and cozy. Seth also requires the time to teach his sufferers, which I discover exceptional.